Join BritishAmerican Business (BAB) on Wednesday, January 16th for the 3rd dinner event of our BAB Accelerate program series featuring guest speaker Craig Dubitsky, Founder of Hello. Hello is one of the fastest-growing toothpaste & oral care brands in the United States. The company was named to Inc. magazine’s annual “Most Audacious” list as one of the 25 companies that are changing the world. Dubitsky himself was named to the Advertising Age Creativity 50, the publication’s annual list of the most influential and innovative creative thinkers and doers. Hello’s products can be found at major retailers including Walmart, Target, CVS, and Bed, Bath & Beyond, as well as on e-commerce platforms such as Amazon. Dinner guests can expect a comfortable, collaborative, and casual networking environment. 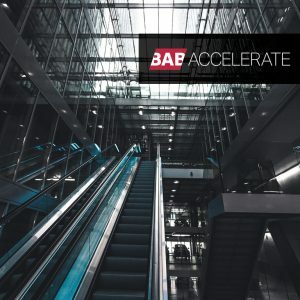 BAB Accelerate is BAB’s new program series for growth businesses and startups. Each dinner features a prominent guest speaker that dispenses practical and inspirational advice to the growing companies in attendance. The program series is open to BritishAmerican Business (BAB) members & non-members.